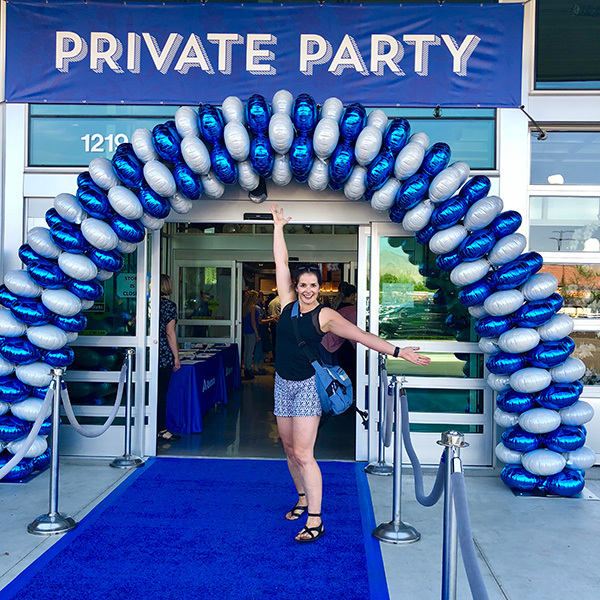 It’s not often (read: ever) that I dream about a grocery store but after going to the sneak peek night at the new Albertsons concept store (1219 Broadway Avenue) that’s exactly what I did. I went to bed thinking about it and I woke up with it on my mind. I’ll be the first to admit that seems a little excessive – obsessive even – but let me explain. This is not your average grocery store. So excited to be at the sneak peek night! Fresh flower rings make a nice accessory. 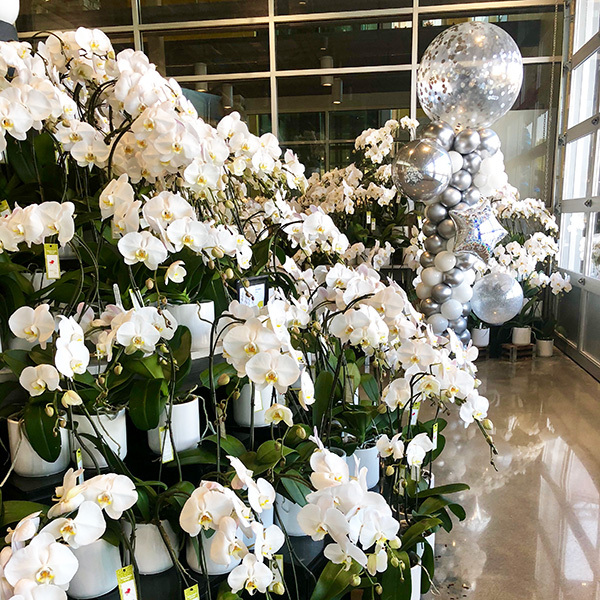 Hundreds of white orchids create an impressive entrance. Whole Foods used to be the standard by which I measured all other grocery stores. 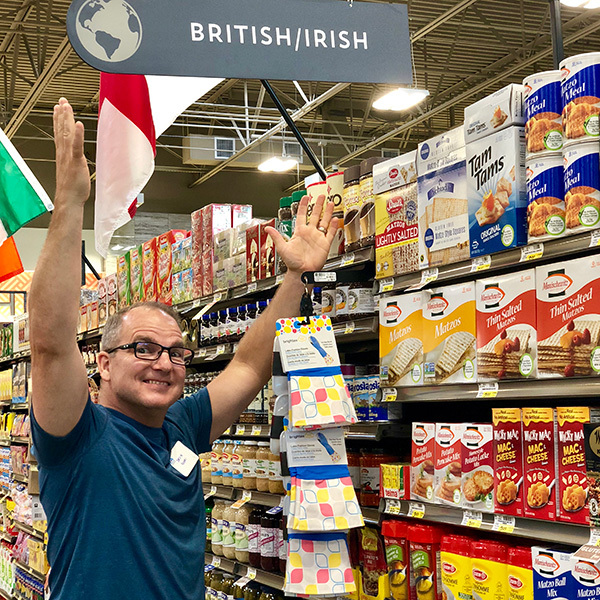 When ours opened in Boise, my husband and I would have date nights there (ok…maybe my fondness for grocery stories is a little out of the ordinary). 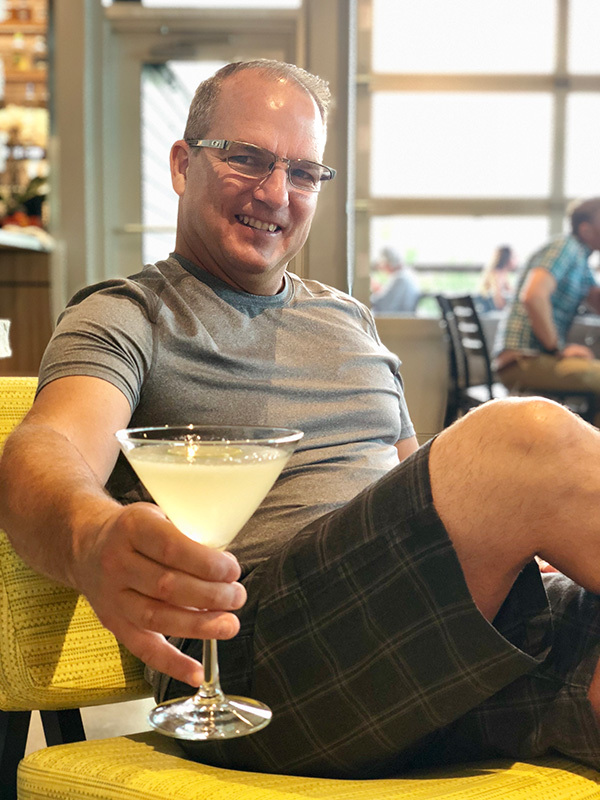 You could create your own pizza with any toppings for $12 and grab a bottle of wine and take it to the bar upstairs, the River Room, where they would open it with no corkage fee. 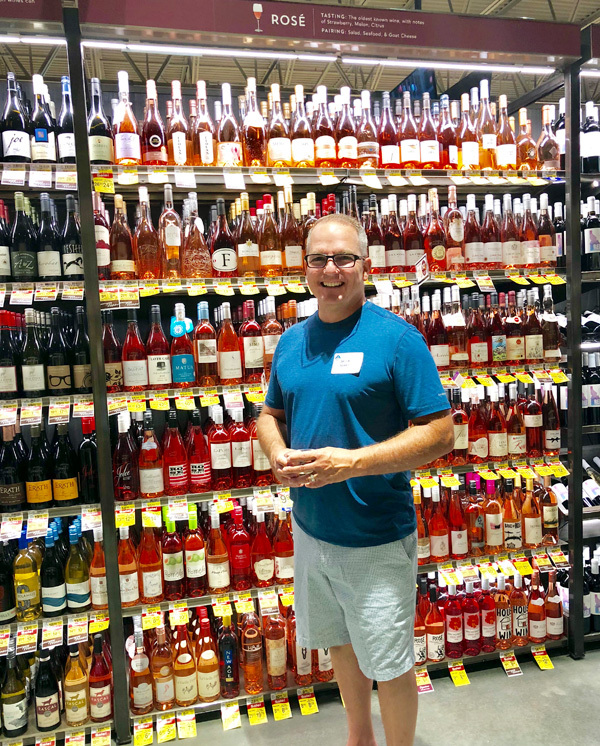 We’d catch up on our week while taking in the views of the foothills, picking up some groceries on the way out often filled with impulse buys influenced by said bottle of wine. Then Amazon bought Whole Foods and almost overnight the store changed. The produce department wasn’t the picture of perfection it had been. The meat counter was half empty. They no longer had the specialty items we had come to count on. The previous energetic River Room was now mostly empty. Of course, we were part of the problem as Friday night dates there came to a screeching halt. Never did I imagine that Albertsons was going to pick up this ball and run with it. Right inside the door is a plethora of food choices spanning all the major food groups. Pizza pulled out of a wood fired oven, tacos and burritos, sushi, hamburgers, stir-fry bar, fresh-made sandwiches, poke bowls and ramen. There’s a salad bar and also a hot bar with things like mac and cheese, chicken wings and spring rolls. The produce section is large with a big selection of organic. 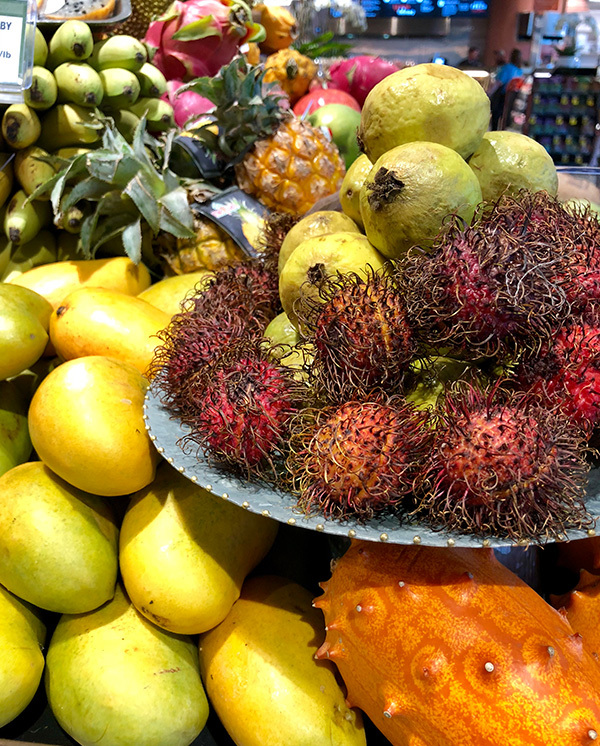 Also exotics like guavas, jackfruit, dragon fruit and lychees. When was the last time I’ve seen fresh lychees in Boise? That would be never. 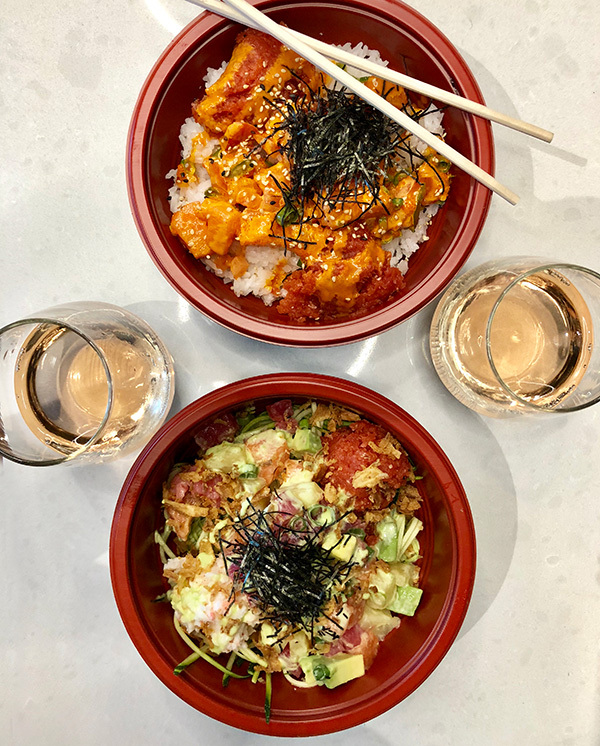 Poke bowls are just one of the ready-to-eat options. There’s a gelato bar and then the pastries. Flaky, buttery croissants made in house. And the cakes…the cakes are amazing. Fresh figs and blackberries air brushed in silver adorned with French macarons. 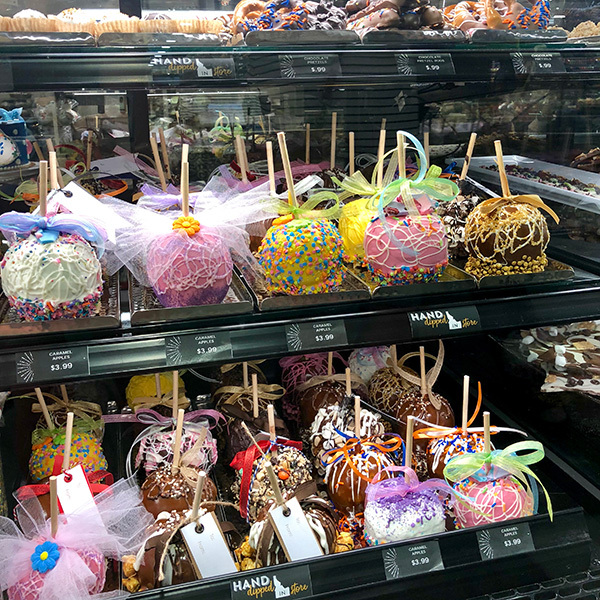 Huge caramel apples that are nothing short of works of art. Rumor is there’s an in-house chocolatier. 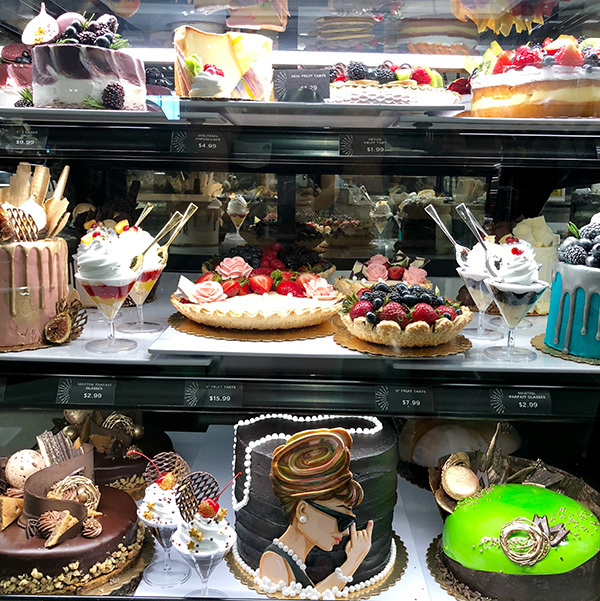 The pastry case is as much art as it is dessert. Fresh figs, French macaroons and silver air brushing! Not exactly your average caramel apples. Moving on past a big counter of artisan cheeses and meats is a wine department that is starting to rival the CoOp Wine Shop. As a rosé fan my husband might have squealed a little when he saw their selection. And I swear they have thought of everything. 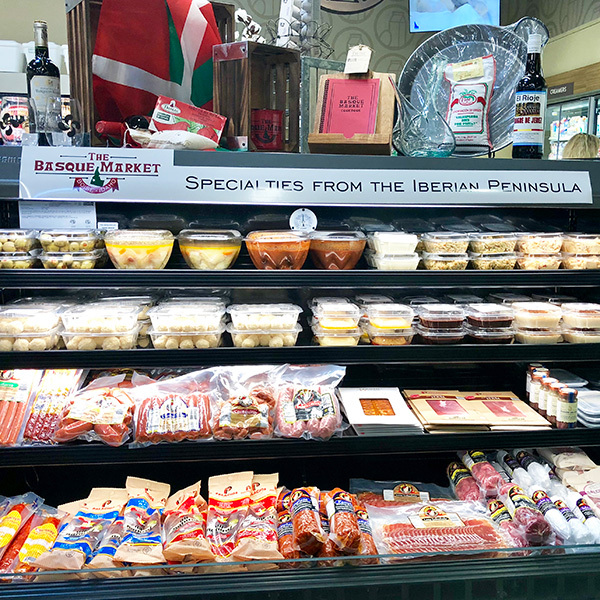 They have put together clever 2-packs of wine and the boxes are labeled whether they pair well with beef or lamb; salmon or chicken – perfect for grabbing on the way to a dinner party. 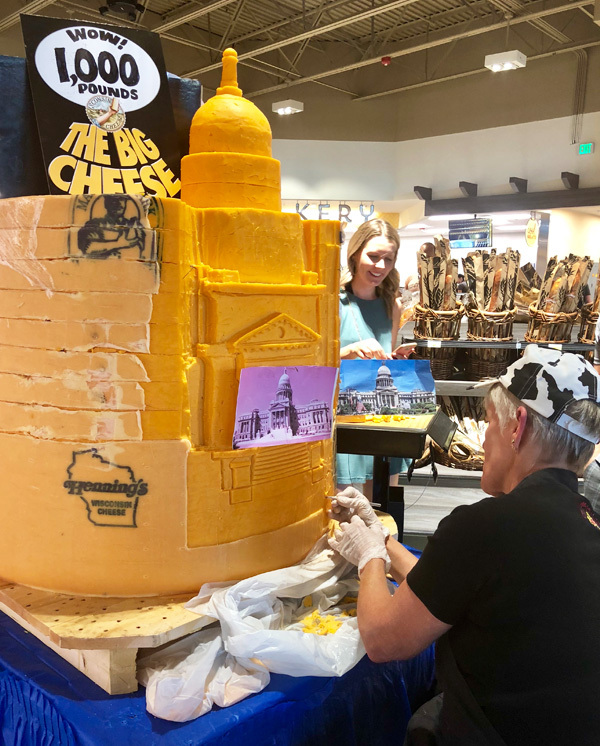 Wisconsin cheese sculptor (yes, that’s her title) carving a 1000 pound round of cheddar. 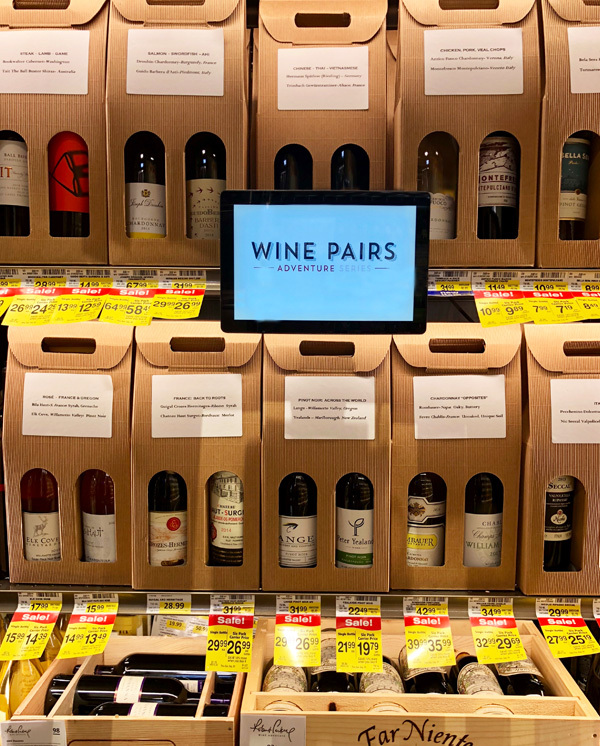 Wine pairings have never been easier than with these pre-boxed selections. I about lost my husband entirely to the meat counter. There was fresh sea bass and ahi and halibut. That’s right… fresh. As in, not previously frozen. Also something we don’t see a lot of in our land-locked state. That’s before the beef counter caught his eye where he saw the “prime” label – a cut designation we’d previously only seen at Costco. 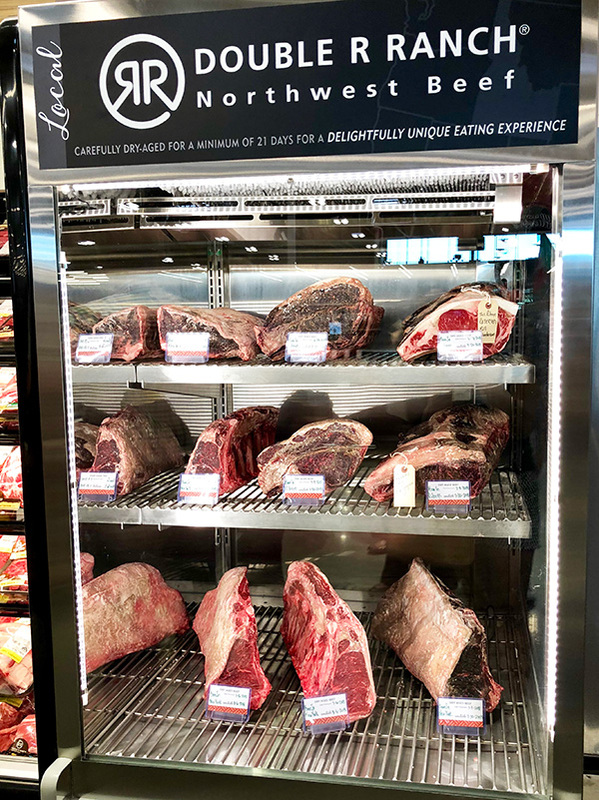 Then I saw something I’ve never seen in a grocery store anywhere – not even at Eataly in Chicago – a dry aged beef case from Double R Ranch, a division of Agri Beef. There’s little tags that let you know when it will be ready to sell. What was lacking was a price tag which I figure falls into the if-you-have-to-ask category. Beyond that there’s a frozen case with alligator, frog legs, and pheasant. 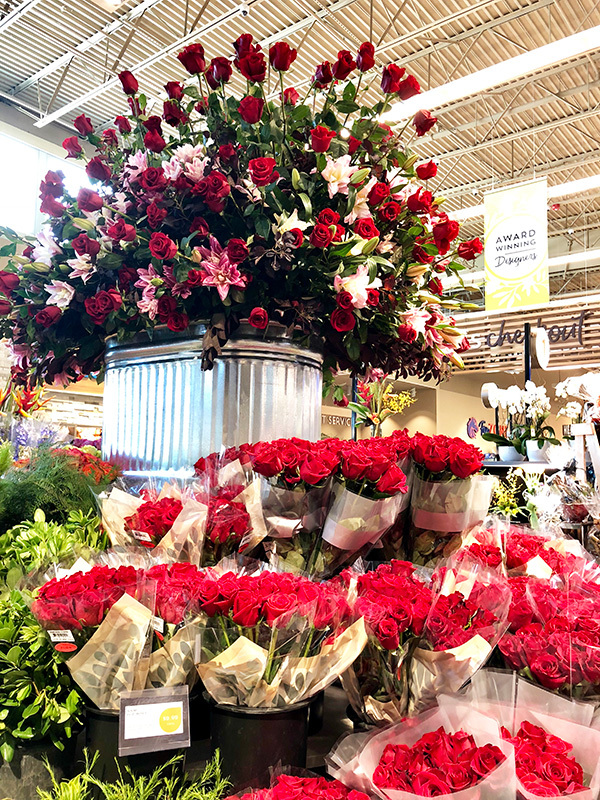 The floral department is like no other I’ve seen with a rainbow of grab-and-go flowers (perfect to accompany that wine you’re taking to the party) and there was a huge arrangement that smelled as good as it was gorgeous in the center surrounded by red roses. 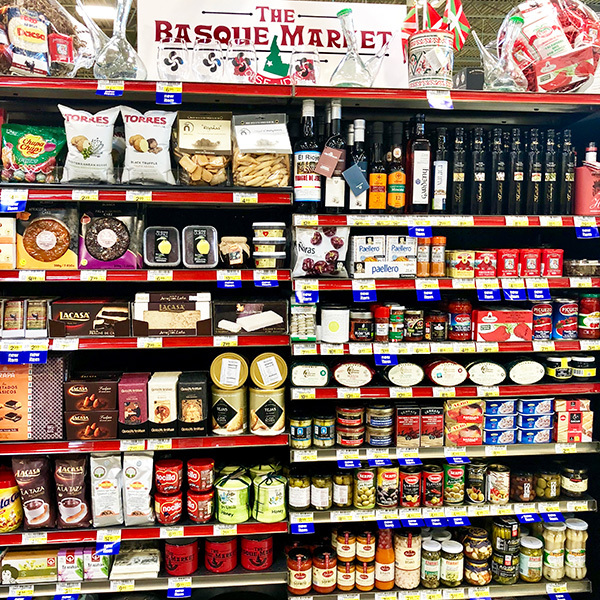 Idaho has a huge Basque population – a fact saluted by Albertsons both with a refrigerated case full of chorizos, croquettas and rice pudding, as well as a section in the ethnic dry goods aisle that represents Italy, Latin and Asian flavors and some more uncommon options like English and Scottish. Even after all this gushing, I haven’t even gotten to the bar, Broadway on the Rocks, upstairs. Yes… a bar with full liquor license and 36 beers on tap. Wine is available by the glass or grab a bottle from downstairs and have them open it with no corkage fee. Same goes with the food. Order from their appetizer menu or bring anything up from downstairs. 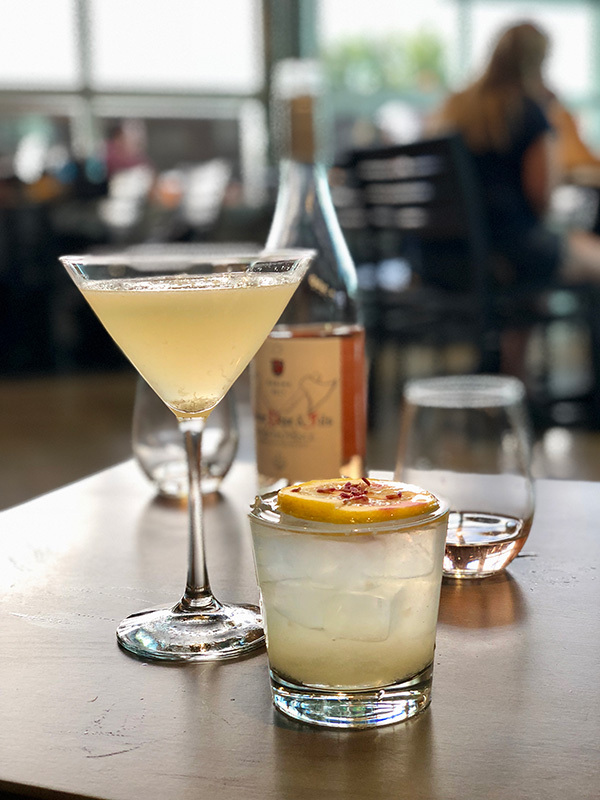 There’s seating for 200 with floor to ceiling glass windows and three big garage doors that open up to a patio with lovely views of the foothills. 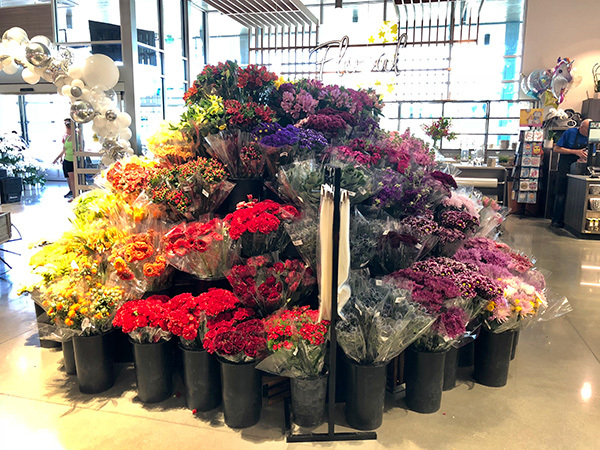 Sorry (not sorry) Whole Foods but looks like we just found our new Friday night date spot. I had no idea! We will have to check it out. Wow! That store sounds and looks amazing! I want to go there! You’ll have to the next time you’re in Idaho! They’re building one in Meridian too next. Nice write up! I’ll have to check it out! Thanks Kelly! I think it’s amazing (clearly) and hope you like it too! Fun shipping at the new store. Please update the onwme Glenwood & State. Hi Shelley. The next store Albertsons will be opening is not at Glenwood & State… it’s at Eagle & Fairview. Does that answer your question? 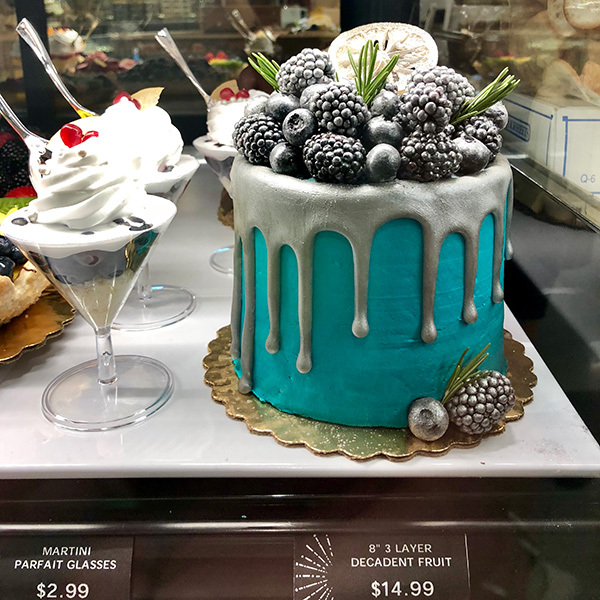 Great info and huge kudos to Albertsons! Have experienced the same disappointment with Whole Foods and wish Albertsons would do this in FLA! It really is amazing. Maybe if this is successful they’ll expand the concept to other areas… including Florida! Thanks for the great write-up! I just switched my lunch plans to check it out! Good call. And great idea! I think I’ll have to make that call sometime this week for lunch myself. Thank you ….. I was wondering and now my curiousity is certainly peaked!!! I’ll have to check it out for myself. Thanks Linda!! For sure Beth. It’s pretty amazing and there’s a BIG Starbucks inside with nitro coffee! Makes me jealous! Could only dream that the Albertsons in Denton, TX (only 45 minutes away) could become something like this, sans view of course. Fingers crossed Christine… you just never know. 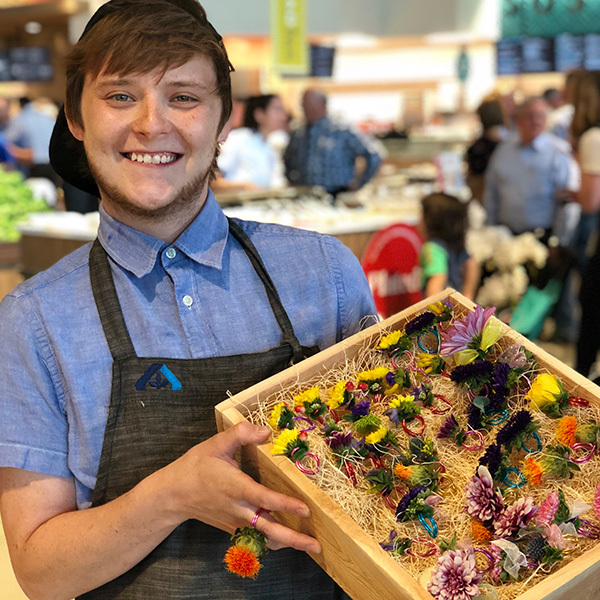 Maybe if the concept is a success there will be all kinds of these Albertsons around the country! Hi Adrienne. Do you shop at Albertsons now? Definitely not the cheapest game in town but I don’t feel like they are any more expensive than Whole Foods so I suppose it’s all in what you’re used to. Thanks for the comment! Really enlightening! I toured the store with you from your description. I think I found my lunch place to take mom! Nice to see a successful plan come to life. Congratulations to all involved! For sure! What a grand store!